Trail running is a growing category in the active footwear market, with more runners embracing the great outdoors throughout the year. 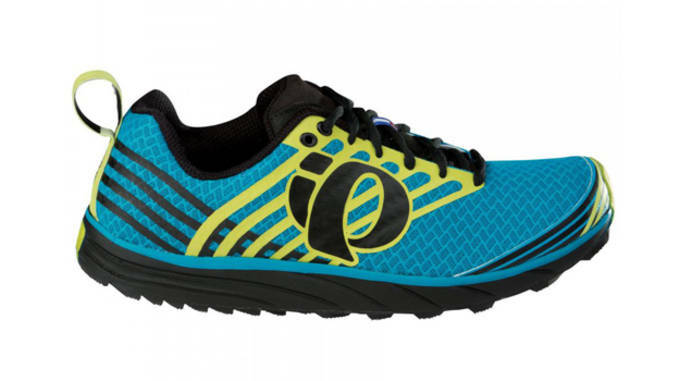 Running brands have taken notice, making a big push to roll out versatile off-road running shoes that can handle rocky paths and slippery surfaces with aggressive lugs, breathable uppers and durable midsole plates. While the next generation of trail runners will hit retailers this Fall, but until then, there are plenty of solid off-roading options available to get you seamlessly from your front door to the trail. 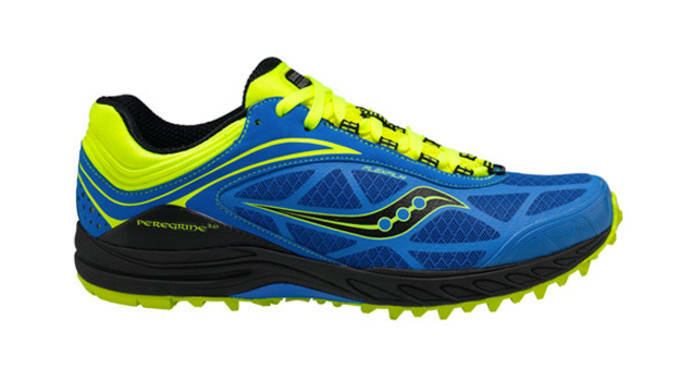 Here’s are The 10 Best Trail Running Shoes Available Now. With the TevaSphere Trail eVent, the days of trying to avoid obstacles rather than go right through them are gone. The shoe features a spherical heel with support pods on either end to improve stability and reduce impact. On top, a waterproof eVent membrane helps keep the feet cool and comfortable, and a Spider365 rubber outsole offers sound traction even on wet terrain. At just over 12 ounces, the TevaSphere Trail is a bit heavier than some of the other trail runners listed, however this just means you get more durability and protection against the backcountry. 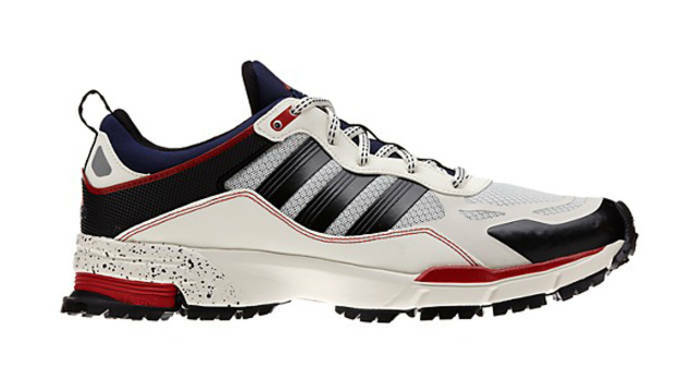 The latest trail runner from adidas blends retro style with off-road technology to create a shoe that is ready for anything. With a lightweight air mesh upper for max breathability, the Response Trail offers a comfortable ride even during intense heat. Adiprene+ in the forefoot provides impact resistance from trail debris, and the shoe’s Torsion System offers the stability needed to conquer uneven terrain. The Pearl Izumi EM 1 Trail may be simple in design, but it’s the shoe you want if you’re in search of a lightweight and versatile trail runner. It features a seamless upper for a sock-like fit, along with a unique curved E:Motion midsole that helps the foot transition more smoothly through the gait cycle. For traction and protection against debris, the EM 1 Trail comes equipped with a carbon rubber outsole, as well as an ESS rock plate. 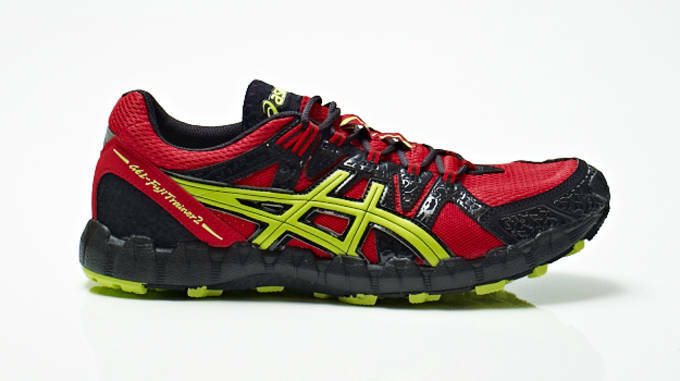 The Asics Gel-Fuji Trainer 2 is perhaps the most underrated trail running sneaker on the list, but make no mistake about it,this shoe can hang with the best of ‘em. The Gel-Fuji Trainer 2 is incredibly lightweight, yet manages to offer ample cushioning thanks to a combination of a Solyte midsole and a Gel insert in the heel for shock retention. 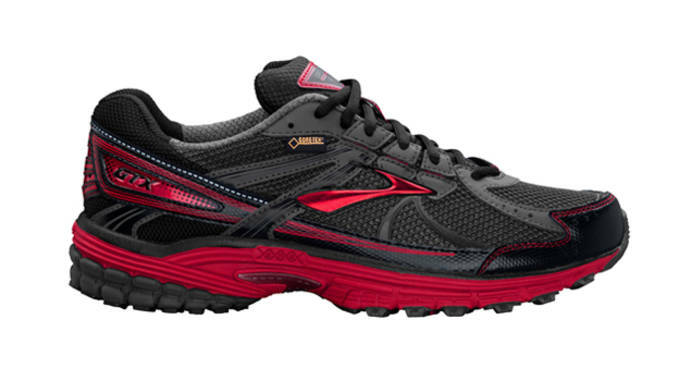 The shoe has an aggressive rubber outsole for excellent traction, as well as an open mesh upper for breathability. 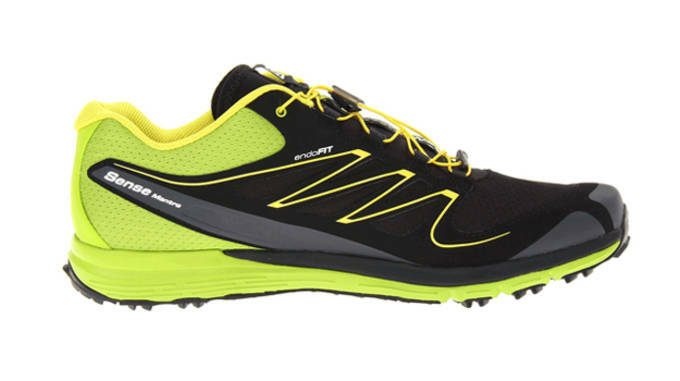 The Salomon Sense Mantra is all about lightweight cushioning and natural motion running. 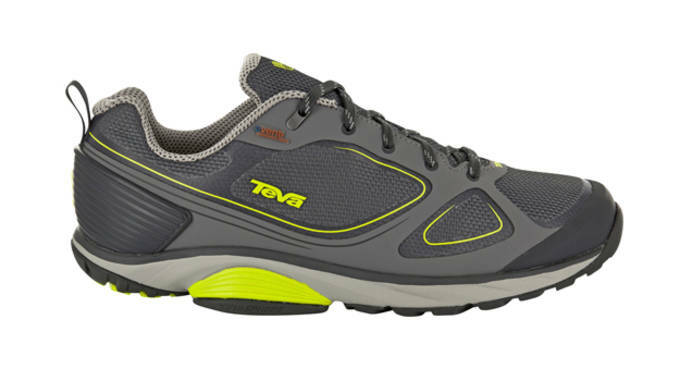 This door-to-trail shoe is designed for daily use on off-road terrain, and can withstand high mileage. Not only is it one of the best-looking trail shoes on the market, it’s also one of the lightest at 9.6 ounces. The shoe’s low offset helps promote a mid-to-forefoot strike for gait efficiency, and is suited for mild-to-moderate terrain thanks to multidirectional lugs on the outsole for grip on uneven surfaces. Simply put, the Merrell Trail Run Ascend Glove is a minimalist trail runner’s dream. 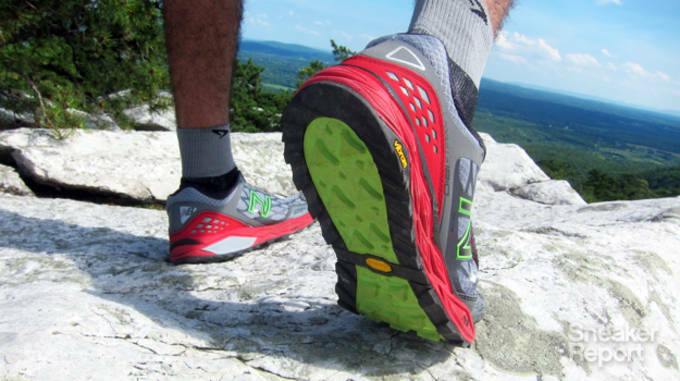 It’s lightweight and low-to-the-ground, yet features sufficient cushioning underfoot for use on more demanding terrain. It has a MotionMesh upper for breathability, and is integrated with M-Select Fresh technology to help prevent odor. A TrailProtect pad in the forefoot and heel adds support to the zero-drop shoe, and a sticky Vibram outsole is designed to let runners conquer the backcountry. 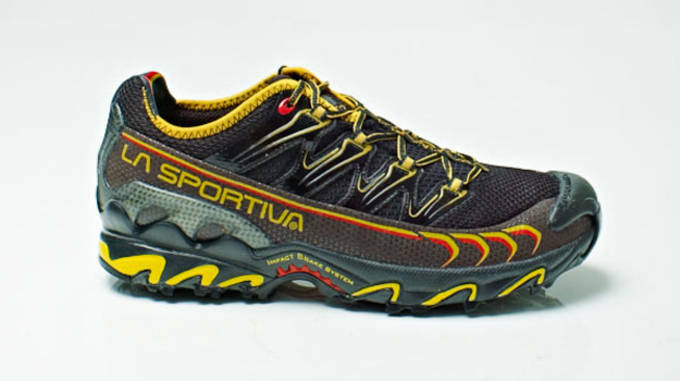 If you&apos;re planning to run some serious backcountry trails, you&apos;re going to need a serious trail running shoe—that&apos;s where the La Sportiva Ultra Raptor comes in. Built to take you to uncharted territory (and back), the Ultra Raptor is highlighted by an ultra-sticky FriXion rubber outsole for terrain-hugging grip in virtually any weather. It&apos;s reinforced from heel-to-toe for maximum protection without debris, all the while staying relatively lightweight and well-fitting. The shoe is also available in a Gore-TEX version for even more protection against the elements. Until the Saucony Peregrine 4.0 comes out, the Peregrine 3.0 remains one of our favorite trail running shoes of the past year. 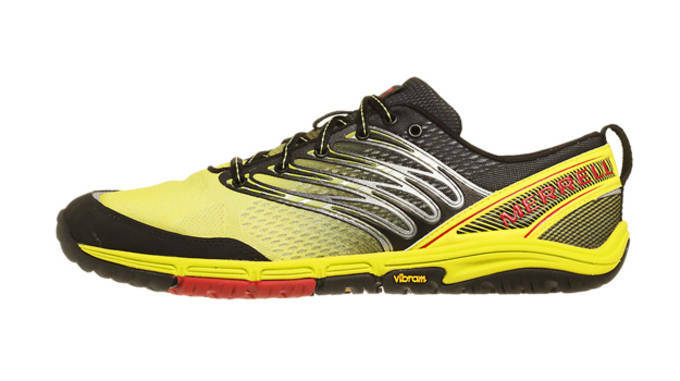 It&apos;s designed to cater to minimalist runners looking for just a touch of cushioning and plenty of off-road capability in a lightweight package. The Peregrine 3.0 features a low-profile design—with just a 4mm offset—for stability (something that certainly comes in handy on uneven terrain. An External Bedrock Outsole (EBO) plate, along with ProGrid cushioning in the heel for protection and comfort round out the shoe. 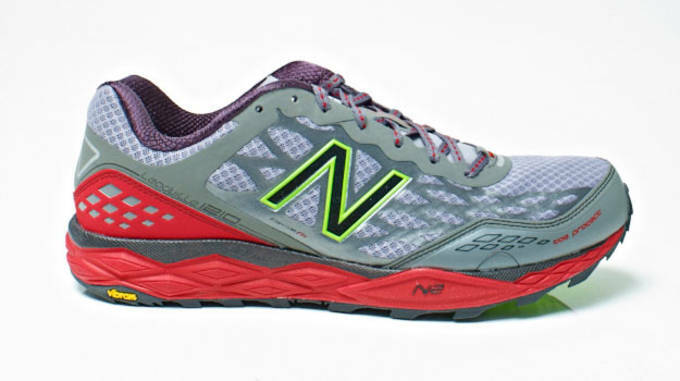 What’s there not to love about the New Balance Leadville 1210—it’s comfortable, durable, has excellent traction, and above all, just feels flat out great on your feet. Inspired by the historic Leadville 100 (mile) race, the shoe is designed to go the distance without any signs of slowing down. It features a plush REVlite midsole for cushioning, along with a Vibram outsole for grip and protection against the trail. The Brooks Adrenaline series has built up quite a reputation for being a beast on the trail, and the latest version—the Adrenaline ASR 10 GTX—is no different. Built for ultimate protection against the off-road terrain and the elements, the shoe is loaded with a waterproof yet breathable Gore-TEX membrane. A Brooks DNA midsole gives the ASR 10 excellent cushioning, and the aggressive outsole pattern is designed to rip through virtually any type of terrain. This one’s the complete package.